Budget your finances and spread costs with our plans. We offer parking right in front of our ground floor practice. Our relaxing waiting room is equipped with a TV and fish tank. Care Quality Commission, BDA and Medenta registered. We provide emergency dental care at our practice. 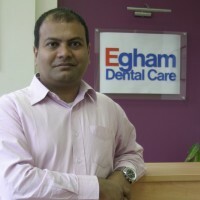 At Egham Dental Care, we pride ourselves in offering high-quality dental care for the whole family. Only a short journey from Egham & Windsor, we strive to provide the best dental care in the area. Our aim at the practice has always been to build a lifetime relationship with our patients. This ensures that each patient experiences the ultimate in personalised dental treatment. Care Quality Commission and British Dental Association registration means we have a highly trained, qualified and caring team of dental practice professionals. 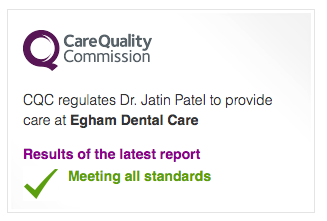 Egham Dental Care is led by our principal dentist Dr. Jatin Patel and his wife, dental nurse Priti Patel. Our dental practice offers a complete range of dental treatments, including teeth whitening, tooth coloured (white) fillings, veneers, crowns, dental implants, root canal treatments, smile makeovers and we also operate as an emergency dentist, offering urgent treatment for those around Windsor, Old Windsor and Egham. All of our dentists perform to the highest standards by using their expertise and the latest technology, which is all installed and well maintained at our dental practice. Everything from general and cosmetic through to emergency treatments are available. Our dentists offer treatments at low prices. At our dental practice, you know you will receive the high level of care and enjoy the benefits whilst our flexible Dental Plans allow you to budget for these services. In addition, affordable interest-free payment options are designed to help you budget your finances and spread the costs of your treatments. This gives you a peace of mind to go along with that beautiful, natural and confident smile. Remember, at Egham Dental Care we offer many services, including regular check-ups, general dentistry, emergency dentist work, teeth whitening and more. 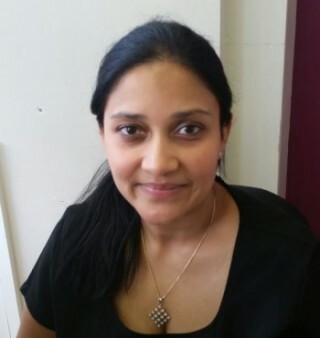 We are always welcoming new patients from Egham, Windsor, Old Windsor and the surrounding areas of Surrey. So, for all your dentistry needs, contact our dental practice today.